Last week's New York Times special section on museums featured a lead article by David Gelles on Wooing a New Generation of Museum Patrons. In the article, David discussed ways that several large art museums are working to attract major donors and board members in their 30s and 40s. The article both energized and frustrated me. I was excited to see coverage of an important issue of generational shift, but I was frustrated that it appeared to perpetuate traditional, clubbish standards of donor cultivation. I was curious to learn more about what was behind the article. Fortunately, I had an outlet for my curiosity. David and I have known each other for a decade. We first met in Washington DC through a mix of social and professional circles. David describes himself as a "museum brat." 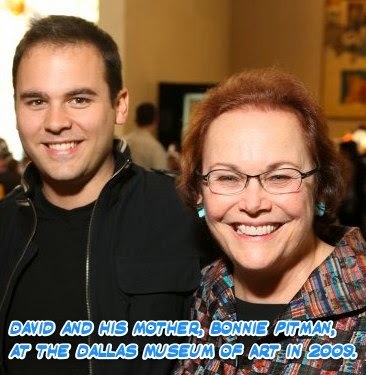 He is the son of Bonnie Pitman, an extraordinary museum leader and educator who has served as director of the Dallas Museum of Art, the Bay Area Discovery Museum, and as a board member for AAM. David introduced me to one of my museum heroes (and his godmother), Elaine Heumann Gurian. He grew up with a special love for and perspective on museums that makes his commentary particularly well-informed. We've kept in touch over the years as our careers evolved--mine in museums, his in journalism--and I called David to learn more about the story behind the article. NS: Why did you want to write this story? DG: The initial idea really came from me trying to bridge my current beat – finance, Wall Street, mergers and acquisitions -- and thinking about how that can apply to the museum world. It struck me quite obviously that the people I cover on a day-to-day basis, especially the younger bankers, are some of the future major donors for museums. I cover all these guys who make 7, 8 figures a year. Inevitably, these are the people museums are going to want to attract to join the board and make major gifts. At the same time, from my background in the museum world, I’ve gotten to know some of these boards and board members and see how they operate. By the time my mom was at the Bay Area Discovery Museum, I was in my late teens/twenties, and I started to know the board socially, including Bob Fisher, who is now very involved with SFMOMA. I’ve known Bob for 15 years now. We have some mutual understanding and trust. I knew something about this world. NS: I struggled with your article because you note that these younger people are looking for something different from their donor experience, but many of the examples--the wining and dining--seems like same old, same old in terms of approach to engagement. DG: Let me first note that this was very deliberately a piece about recruiting young donors who could give substantial gifts and join at the board level. Programmatic engagement is a very different story. Wining and dining is always going to be a part of this donor cultivation. Let’s face it – people like to be social and have a drink. But I do think some of these examples are really something very different. For example, in the article I talk about SFMOMA and how they dealt with the museum being closed for renovation. They brought in Yves Behar onto their board, a designer in his 30s. He and some of the other younger board members were absolutely the key to get the museum out of the building and into the city. And it was through the younger patrons that they were able to spread SFMOMA all over the Bay Area. NS: The article mentions that as part of that project, SFMOMA has an outpost in Los Altos. I have a kind of cynical perspective on that--that Los Altos is an extremely wealthy area and a place for donor cultivation, not for engaging people who might not otherwise experience art and art museums. I worry that some of these examples perpetuate income inequity and the perception of museums as being for the 1%. DG: I wrote this article coming to museums on their terms. I’m not trying to make value judgments about whether or not it’s a good thing that museums are cultivating wealthy patrons. The fact is that large institutions are heavily reliant on big donations. Whether that’s a good thing or a bad thing is really not the story I wrote. I do think it’s fair to ask whether museums have become too complex, too expensive – incredibly complex, incredibly expensive to run and maintain -- and that necessitates an incredible high level of giving. In an age of high income inequity, that means you have to focus on major gifts from major donors. And rising income inequality means fewer individuals have the capacity to make major gifts – not less money to go around, but fewer pocketbooks. NS: It seems like some of the giant institutions in the article--the MoMAs of the world--will probably be just fine with their Young Collectors groups and so on. But the generational shift seems much more threatening to the vast majority of museums that are smaller, not in huge cities, not big names. DG: Absolutely. Smaller, less marquee institutions may face problems going forward. I included the Delaware Art Museum as an example of this. There are a couple of key demographic trends that impact this. There is wealthy flight back into the cities – that’s left a lot of regional and more rural institutions exposed. There's also the transience issue. It's just not the case anymore that professionals are likely to stay in one place for their entire career, especially with our generation. There's an example from Minneapolis in the article about this--a donor that the Walker Art Center was cultivating who moved to New York. This isn't just happening at the highest income levels: it's generational. In the last five years, I’ve moved from Berkeley to Miami to SF to NY... and I wouldn't be surprised if I move again. NS: Transience seems like a really interesting issue here. What are some of the ways that you saw organizations addressing this mobility of donors and prospects? DG: When new money comes to town, institutions need to be pretty quick on their feet. The ICA in Boston probably did a pretty good job of that. They saw a confluence of an emerging biotech community with the fact that the institution was going to expand rapidly and they were able to tap into and engage those academic/biotech leaders as donors. NS: I'm curious to hear more about your experience working with these young bankers on Wall Street. One of the things you covered a bit in the article is some of the reports out there about how younger donors want to be engaged differently--seeking more accountability, wanting their money to go to active projects as opposed to endowments or long-term operating. Is that something you see when you look at the young bankers you cover on a daily basis? DG:I didn't do exhaustive reporting on this directly, but yes, I think so. I think of one friend of mine who is involved in several museums in New York City, a very successful young banker who very deliberately chooses smaller museums where he can see his money at work. He funds smaller exhibitions, maybe is able to build a relationship with a curator, feel like his voice is heard. He very intentionally choses that versus being one of 600 in the Met’s Young Patrons group. He likes that intimacy. That’s a kind of accountability in itself. NS: I guess a bigger question about these bankers is the extent to which they are involved philanthropically, irrespective of focus. It's one of the big questions where I am, near Silicon Valley. There's a lot of stress about whether a culture of philanthropy exists with young wealth, or whether people would rather be spending the money on themselves or deploying it differently, like through impact investing. DG: There is a culture of young philanthropy in NYC, perhaps in contrast with Silicon Valley. In New York, it’s deeply woven into the fabric of the social scene. The social calendar is dictated by galas. There is party season at the end of the year. And then there’s spring party season. That’s a real part of the social currency of the town – and to attend, you have to buy tickets, buy a table, get invited. When it comes to the donor experience, other communities could probably learn a thing or two from New York. Take San Francisco: there actually is a stable population of people who built their careers in Silicon Valley. A lot of institutions could find whatever that community is and find ways to create those long-term ties. New York is not the only city with a social calendar. NS: Sure. But another way to look at it is that these galas and this social calendar perpetuate a kind of cultural elitism that exacerbates class disparity. I think what I struggle with most is the sense I get, throughout the article, that this kind of old-guard cultural elitism is being perpetuated for younger generations. DG: I don’t think museum parties are perpetuating class disparity. NS: Really? The other lead article in the Museums section was about protests at the Guggenheim, branding that museum as the "1% museum." What do you think the Guggenheim 1% thing is about? DG: I could see how some people would view events like those at the Guggenheim and other big institutions as a manifestation of class disparity. And of course it is a reflection of certain haves and have nots in society. But I don’t think the museums and the museums' social programs are what are perpetuating class disparity. It might be a reflection of that disparity, but I don’t think they are responsible. NS: I guess as someone who runs a small museum that isn't in New York, I struggle with this kind of coverage that seems to perpetuate the dominance of a story about what museums are that is not reflective of the broader population--of people or museums. I worry that this kind of article problematizes our conversations in smaller communities by focusing attention on examples that aren't really relevant to our experience. DG: I'm sorry you feel that way. That's not representative of most of the feedback I've been getting. I don’t think the lesson is that you have to have a huge fancy party in the atrium to cultivate new donors. That’s not the point. The point of the article is that there’s a generational shift happening here, the next generation has different philanthropic priorities, and museums are finding a variety of ways to try to build bridges. NS: That makes sense. I appreciate what you are trying to do. And so let's end on a positive note: in the best case, what do you hope the article will do? DG: I hope it will serve as a prompt for institutions of all sizes across the country take seriously the need to engage with a new generation of donors and visitors. Though that wasn’t the thrust of the article, it’s really part and parcel of the same thing. But Bob Fisher alluded to it in the article with his quote about a sleepy museum of antiquities. If you are a sleepy institution, it’s going to be hard to get this generation, our generation, involved at a programmatic and a philanthropic level. I have a hard time saying that, because I love little antiquities in vitrines. But I would have a hard time making that a philanthropic priority. That’s the tension: how can museums, which are still temples of culture, do a bunch of things at once? They need to do what they have evolved to do—maintain an ever-expanding collection, much of which isn’t on display and needs to be storied, insured, conserved, plus doing their own curating to be programmatically relevant, displaying outside exhibits, and then of course trying to do public programming that gets through the door people who might not want to stare at beautiful little objects like I do. Add to that engaging this new generation – both through programming and as donors. Museums have a lot of work to do. My hope is that this article demonstrates some of the ways that some big institutions have done it somewhat successfully and also serve as a clarion call to the rest to take it seriously. How do you grapple with engaging the next generation of major donors at your institution? 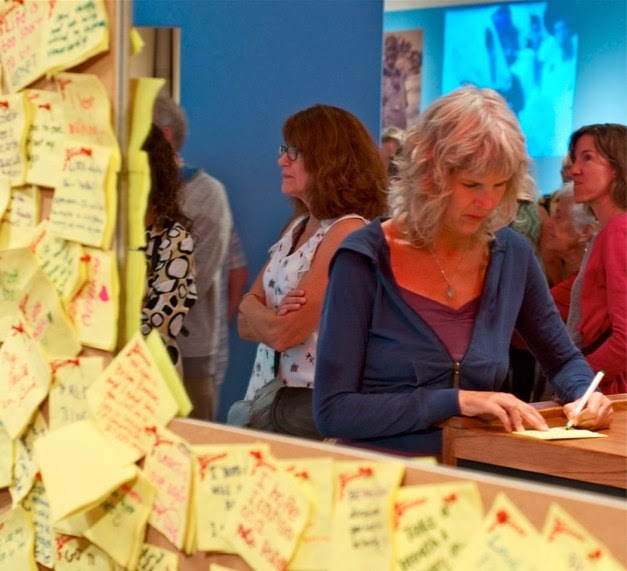 Are you finding ways to do so that are changing as your museum and your community changes? These tags all do a great job capturing the magic of exploring a museum. They do a great job sharing the humor and surprise of collections objects. 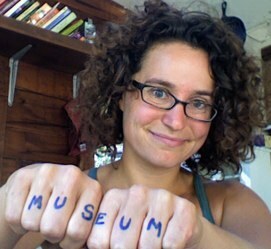 They position museums as social starting points, experiences worth sharing, braggable moments. They do something entirely different than what museums professionals thought tags might do for our institutions. Almost ten years ago, museum techies started to get excited about tagging. In 2005, a group of art museums launched steve.museum, a project to explore ways that visitors and non-professionals could help assign descriptive tags to online collections. The point was to "bridge the semantic gap [between experts and visitors in describing objects] by engaging users in the time-consuming and expensive task of describing our collections; add a multi-cultural, perhaps multi-lingual perspective to our documentation; and possibly even develop strategies for engaging new types of users in looking at and thinking about art." Steve.museum received significant funding from IMLS, and several museums started experimenting with tagging projects, both within and beyond the Steve universe. This included a bevy of research papers and workshops, as well as innovative tagging projects intended to do everything from provide contextual information about artwork to identifying actions taken by families of birds. The best projects incorporated heavy game mechanics to turn a chore--describing objects--into a fun plaything. While these projects had some success, tagging museum collections objects never really took off as a visitor-contributed slam dunk. And it declined over time. As Shelley Bernstein at the Brooklyn Museum told me this week: "We've seen far less tagging on our site in recent years and most of the tagging is being contributed via our tag game, Tag You're It, with far less direct activity on object pages within the collection online." Meanwhile, social media platforms like Twitter, Instagram, and eventually Facebook started to incorporate tagging and hashtags into their interfaces. Tags have morphed from a way to assign a useful, searchable label to an idea (the kind of tagging museums were interested in) to a way to add commentary in an oddly authoritative, winking third-person voice. Tags like #booyah or #cute or #bestdayever allow people to electively apply an external label to a personal moment. On Instagram in particular, tagging has become the way to get noticed and get connected. In the early days of blogging, people would say "links = love." Now, it's more like "tags = love." Where does this leave museums and dreams of visitor-driven tagging of collections? The good news is that people are finally psyched about tagging stuff. On their own. Without institutional prompting. The complicating news is that the way people want to tag is to document their personal/social experience with objects, not just the object on its own. I think this means huge potential for museums to better understand visitors' emotional and affective relationship with specific objects and experiences--what surprises, delights, confounds, and connects. In this way, I see the shift in the use of tagging as opening up new opportunities in visitor research. 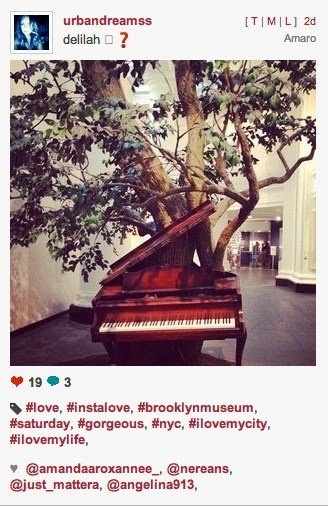 For example, check out this site, where you can see instances of two hashtags applied to the same photo - try entering "museum" and "love" to get a feel for it. As for the use of tags to document objects in a common vernacular, it's possible... but only if museums can find ways to help people connect those kinds of tags to their own motivations for tagging. What do you see as the future of tagging and museum collections? You know those research studies that make you want to immediately change your practice in some way? I recently read The BERI report on bilingual labels in museums and was blown away by its findings. BERI was an NSF-funded three-year collaborative project co-led by Cecilia Garibay (Garibay Group), Steve Yalowitz (Audience Viewpoints Consulting), Nan Renner (Balboa Park Cultural Partnership, Art of Science Learning) and Carlos Plaza (Babel No More). This guest post was written by Steve Yalowitz, a Principal at Audience Viewpoints Consulting, who has a Ph.D. in Applied Social Psychology and has evaluated and researched informal learning experiences in museums and other visitor institutions for over 20 years. Bilingualism in the U.S. is a controversial topic, and the same is true in museums. If someone asked you whether museums should or need to have text in more than one language, what would you say? You probably have an opinion, or you could probably come up with an opinion without too much effort. Maybe you are in a country that mandates multiple languages, or at an institution already committed to bi- or multi-lingual interpretation. However, based on my conversations and experiences with many museum professionals, my guess is that many of you are aware of the issue, may think it’s worth discussing, but have limited knowledge about the core issues surrounding bilingual interpretation. I was co-author of a recently completed research study [PDF] funded by the National Science Foundation, the Bilingual Exhibit Research Initiative (BERI), which strove to better understand bilingual labels from the visitor perspective. 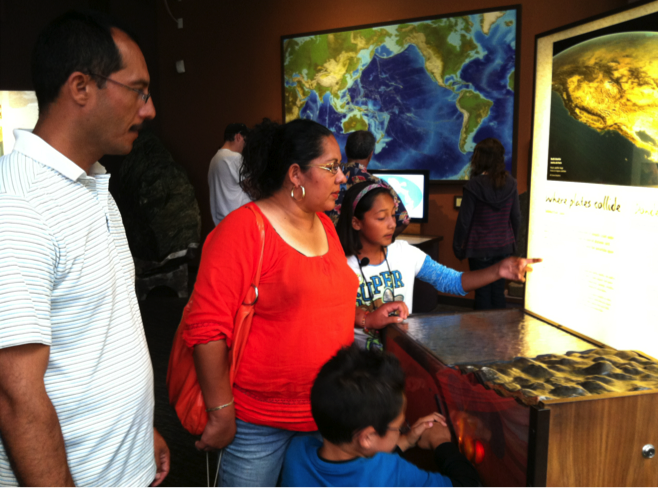 This qualitative, exploratory study involved tracking and interviewing 32 Spanish-speaking intergenerational groups in fully bilingual exhibits at four different science centers/museums. We observed and audio recorded the groups, and conducted in-depth interviews in Spanish after they went through the exhibit, with a focus on what the bilingual experience was like for the group. The BERI study really expanded our thinking about bilingual interpretation, even though we’d been studying the topic for years. One of the main affordances of bilingual interpretation, of course, is that it provides access to content. The BERI study shows that access to content—the most obvious benefit of bilingual labels—is just the tip of the iceberg. Bilingual interpretation expands the way visitors experience and perceive museums, shifting their emotional connection to the institutions. Code-switching – We found lots of evidence of effortless switching back-and-forth between English and Spanish. We saw kids and adults switch from English to Spanish not only mid-conversation but mid-sentence, both in the exhibition and in the interviews afterwards. Museum professionals often incorrectly assume that if we provide Spanish text for Spanish speakers, they stay in “Spanish mode.” The power of bilingual text is that it’s bilingual – it provides access in two languages, and code switching lets you understand and express yourself from two different perspectives, with two sets of vocabulary. It was a huge affordance for bilingual groups, especially when some members were not able to understand English, or even if they were Spanish dominant or fully bilingual. Facilitation – We researched intergenerational groups, so it’s not surprising that many of the adults saw their role as facilitator as essential to their own and the group’s success in the exhibition. We confirmed what other label studies have previously found: that adults were more likely to read labels than kids. However, this study found that in bilingual groups adults were more likely to read in Spanish, while the kids were more likely to read in English. With Spanish labels available, adults were able to facilitate, guiding the conversations and interactions, showing their children, grandchildren, nieces and nephews where to focus and how to interact. Adults who were previously dependent on their children could now take the lead as confident facilitators. An added benefit of bilingual labels, even for those who could read in English, was that they didn’t feel slower or that they were holding up the group. Emotional reaction – This study found that the presence of bilingual interpretation had a profound emotional effect on the groups. Groups said they enjoyed the visit more, felt more valued by the institution, and many said having bilingual interpretation changed how they felt about the institution. In our field, if we focus on the emotional aspect of the experience, it’s typically around the content and what we’re hoping people feel when engaging with our exhibits. While some of the reactions were around engagement with content (as would be expected), many of them were really about feeling confident and comfortable–key factors for a satisfying and worthwhile visit. When asking whether bilingual interpretation is worth it, we’re often looking at it through the wrong lens. It shouldn’t be about whether it’s worth it for us as an institutional investment, but whether it’s worth it from the visitor perspective. Does it improve the visitor experience in a way that adds value to the visit, providing affordances that don’t exist in monolingual experiences? The answer, from the BERI study findings, is a resounding yes. BERI was a three-year collaborative effort I worked on with Cecilia Garibay, Nan Renner and Carlos Plaza. When we received the award, we felt a great sense of opportunity and responsibility, since this was the first NSF-funded research study about bilingual families and their experiences in fully bilingual exhibitions. You can download the research report and find out about the research model, methods, analysis and implications for the field. We saw this study not as the answer to the field’s questions about bilingual interpretation, but as the start of a conversation around better understanding how it works. In doing so, we found out that it is a much more complicated and rich experience than even we thought. After a recent presentation about the findings, a museum professional told us that the study’s findings helped change how they think about bilingual interpretation. My hope is that some of you out there will continue this important work, and help change how I think about bilingual interpretation. Let's say you create a station where visitors contribute content. You want their stories, their feedback, their colorful drawings of the future. We've started using a very simple measure: the number of people who actually respond to the prompt. We look at the visitor contributions, and we code them either as responding to the prompt or doing something unrelated. Answer the question, and you're in. Make a scribble, and you're not. That's it. Obviously, this does not give us the holy grail of success for a visitor talkback station. Each talkback is different. Sometimes success means deep, personal stories; other times, we value speculative argumentation or creative expression. Sometimes it means a large volume of responses; other times, we are looking for people with specific expertise to respond. But in all cases, we want people to respond "appropriately"--whatever appropriate might mean for a given talkback. The measure of whether people respond to the prompt appropriately is really a measure of us, not them. It measures whether the design of the talkback is sufficiently clear and compelling. This is especially useful in exhibitions or areas with multiple different talkbacks; it allows us to do A/B comparisons across talkbacks and learn which of our designs worked best (presumably, for the same group of visitors). Consider three very different talkbacks in the Santa Cruz Museum of Art & History's fall exhibition, Santa Cruz is in the Heart: cocktail napkins, rear view mirrors, and refrigerator certificates. Each of these talkbacks was very different. The cocktail napkins were in an area about the demise of a beloved dive bar in Santa Cruz. We invited people to slide up to a bar and use a napkin to scrawl an answer to the question "How do you deal with loss?" This was the most popular talkback, with 541 responses in the three months of the exhibition. The fridge was in an area about unsung heros in our community. We invited people to sit down at a modified kitchen table and make a certificate of accomplishment for someone they felt deserved to be honored. These certificates were less than half as popular as the napkins, with 221 completed. They took awhile to make, though--this was definitely the longest talkback activity. The rear view mirrors were mounted on the wall next to a story in a simulated car about looking back and seeing the past differently from an adult perspective. We offered people markers and invited them to write directly on the mirrors to complete the sentence "I look back and remember..." This was the least used talkback, with 120 responses. It wasn't easy to write much with a marker on the mirrors, and you had to be creative to come up with a response in just a couple words. Clearly, the fridge was the big winner. While it was not the most-used talkback, it was the one where people were most likely to actually do what we asked of them. This information surprised us. We used the data to interrogate what was unique about the design of the fridge talkback: the fact that it required a longer time commitment, that it had more involved setup and design, that the prompt was in the form of a "fill in the blank" instead of a question, and that the content was positive/uplifting (as opposed to the others, which focused more on nostalgia and sadness). We consider this a good measurement because it is easy to collect the data, the result is non-obvious, and the result is useful in helping us improve our design techniques. A good measurement doesn't need to exhaustively answer every single question about a project. It just needs to provide information you can actually use to do better. I'm curious what "single measure" tests you are using to compare projects and improve your practice. What simple number has changed your work? Also, a sidenote. We asked Brandt to also count any responses that were "aggressive"--swear words, violent language, etc. Total number across all three talkbacks: 0.